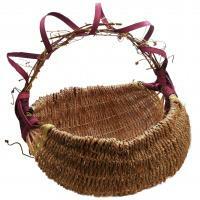 Baskets, brooms, gourds and much more! Our talented Kentucky ancestors used local resources to make the items they needed to use everyday. Split white oak was woven into baskets, straw into brooms and gourds became bowls. This strong heritage is evident in the amazing work created by today's artists. All these useful and beautiful pieces will grace your home and provide years of good service. Enjoy a bit of the past today! 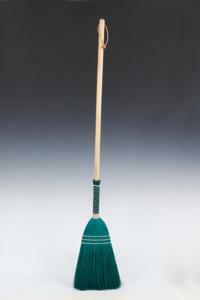 This traditional Shaker style broom takes a contemporary turn with its brilliant green color. It’s an attractive reminder that being eco-conscious not only makes sense, it is a timeless philosophy that never goes out of style. It is just as wonderfullly made as all of the brooms by Berea College Craft, and will be treasured. size: 52" x 8" x 3"
This truly is the BEST broom you'll ever buy. It is the perfect combination of strength and flexibility and is far superior to any other you'll find. It is hand-rolled and braided in natural straw. 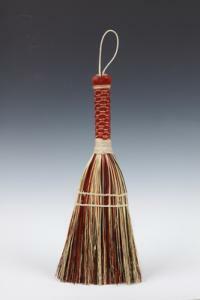 This broom makes a wonderful wedding gift, one that will be cherished for years to come! And, it works great indoors and out! Truly is the BEST broom you'll ever buy, and in multi-colored straw! It is the perfect combination of strength and flexibility and is far superior to any other you'll find. 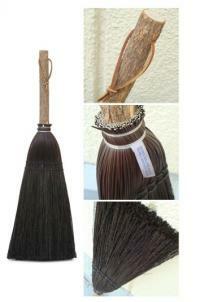 This broom is hand-rolled and makes a wonderful wedding gift, one that will be cherished for years to come! And, it works great indoors and out! 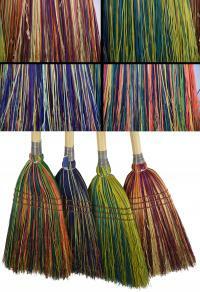 Colors vary with each broom made. We lovingly call this one, "Cinderella's favorite"! 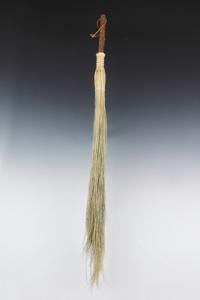 This fireplace broom is hand-rolled and is built to last a lifetime. Black straw, perfect for sweeping sooty ashes, becomes surprisingly elegant in a modern room. Available in rust or dark chocolate brown. 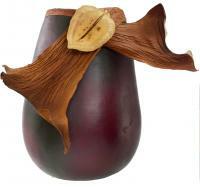 size: 24" x 7" x 2"
These beautiful - and durable - vases are made from gourds! The artist stains and seals both the outside and inside which gives this container lots of versatility. Each is unique and adorned with natural materials.